How to Select the Best Electric Wood Chipper Shredder? In a fast-paced world where there’s minimal time for backyard maintenance, efficient equipment is necessary. This is where electric wood chipper shredders come in. 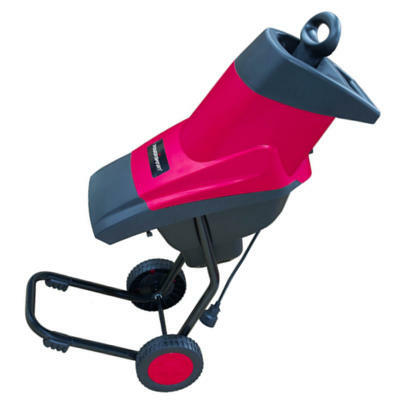 Designed to take the hassle out of removing garden waste, they are a preferred option by many. However, with so many options to choose from, it can be difficult to know how to pick the best electric wood chipper shredder for the money. After all, not all feature the same specs, or are suitable for all applications. Within our buying guide, you can find several top-rated wood chippers that aim to take the hard work out of those pesky backyard chores. Whether you’re after the best deal or the most well-known manufacturer, brand or model, you are sure to find the machine to best suit your requirements at the right cost. For those who aren’t sure which would be the best electric wood chipper shredder for the money, it’s best to consider your work type. Knowing the kind of work you need to undertake will surely make the process a whole lot easier. It’s easy to think that any tree shredder will suit your needs, but there are so many factors that come into play. Some models are only suitable for professionals, whilst others will only be capable of taking care of small branches and general garden waste. 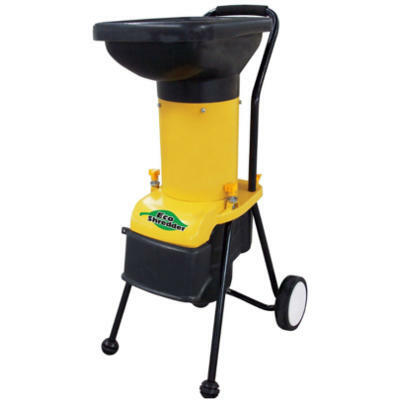 Once you ascertain the level of work needing to be completed, you can then find a top-rated wood chipper shredder on the market that will suit your needs to a tee. Although electric wood chipper shredders are generally less powerful than their gas-powered counterparts, they are still equally as dangerous. They chip wood at exceptional speeds, and could do the very same to fingers and limbs if caught in the wrong place. Because the majority of electric chippers also don’t self-feed, there’s a heightened risk of injury when you’re pushing garden waste into the chute. While common sense should come into play, the manufacturer’s guide that arrives with your machine is sure to help you stay safe around it as well. It includes tips such as wearing safety clothing, gloves, hard hats, and boots, as well as making sure all moving parts are free from damage. Before and after each use, you should also make sure the power cord and engine are in good, working order. If you have any doubts about the machine’s ability to operate safely, have a qualified technician check it out, just to be on the safe side. A common mistake people make is buying a wood chipper shredder just because it’s for sale at a low cost. It might seem like the best deal, but is its chipping capacity in line with your requirements? A wood chipper shredder will only run efficiently if it’s matched with wood within its capabilities. Electric-powered wood chipper shredders are often not as powerful as other kinds, and therefore can often seem less efficient. While it may cause aggravation for homeowners, the wood chipper might not be the problem – it’s the operator pushing it beyond its limits. This is why it’s important to compare all features to ensure it will be able to chip to your expectations. The features of a wood chipper shredder vary from one machine to the next. This is because several are produced to meet different markets. Electric wood chipper shredders are no different. However, most of them feature a chipper mechanism (usually consisting of two blades), a collared hopper, a chip collection tub and an engine. Some may even be able to switch between chipping, shredding, composting, and mulching. Review several different products and weigh them up in comparison to the cost. This will ensure you’re getting the best price in relation to the features offered. If you want your electric-powered wood chipper to last the distance, you need to ensure you maintain it correctly. While electric-powered chippers require far less maintenance than those that run on gas, they still need a bit of TLC every now and again. Clearing away debris from moving parts. Keeping it clean and all moving parts lubricated. Ensuring the power cord is free from wear and tear. While having a budget is important for when you buy online or in-store, it’s more vital that you focus on the features. While one brand of wood chippers might cost you far less than another, it might not have all the features you require. The same can be said for those on the higher end of the price scale. That’s why it’s important that you review the various brands within this buying guide. It can more than likely help you secure the best electric wood chipper shredder for the money. It’s portable, with two large wheels and a handle. It was rated ‘Best Buy’ by the Consumers Digest magazine. It comes with a generous 2-year warranty. 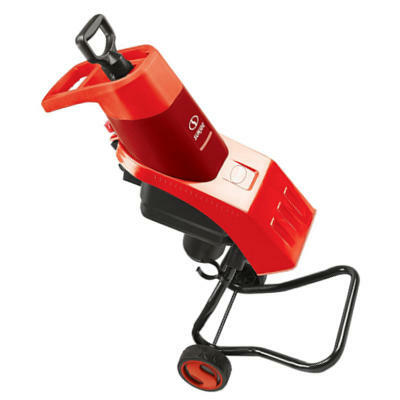 It’s more suitable for leaf shredding and small branches. The chips are gathered in a bag, rather than a more convenient tub. Chipping Capacity: Branches up to 2 ½ inches in diameter. QWhat power outlet does it run off? AA standard 110 volt outlet. QWhat kind of extension cord is suitable? AA heavy-duty cord less than 100 feet in length. QHow often do the blades/knives need to be sharpened? AEvery 6-8 hours of use. If you’re tired of twigs, leaves, general garden waste, and small limbs building up in your yard, this Patriot wood shredder is a good option for you. Not only will it chip general garden waste into more manageable pieces, but it can also handle limbs of up to 2 ½ inches in diameter. It’s certainly not suitable for professionals, or those in need of proper log chipping equipment, but it’s perfect for the homeowner. The only negative to this otherwise near-perfect product is its price tag. Although it’s a very effective shredder, it’s quite expensive and can be out of reach to many who require such a product. Check out what other people who purchased this product think about it. Read Patriot CSV-2515 electric wood chipper shredder reviews. It comes with a 2-year warranty which, in comparison to its price, is very generous. It has a safety hopper with a locking knob to prevent it from starting when open. Some parts appear to be made of low-quality materials. Sun Joe wood chipper shredder. Dimensions: 37.8 x 17.3 x 19.7 inches. Chipping Capacity: Branches up to 1 ½ inches thick. QDoes it have different settings for chipping, shredding, and mulching? ANo, just an on/off switch. QIs it loud to operate? AHeavy-duty and no more than 100 feet long. This Sun Joe wood shredder is not the most powerful product on the market, but when used properly, it could be any gardener’s new best friend. It has a powerful 15 amp motor, can shred many different kinds of backyard waste materials, and it’s exceptionally well-priced on the market. Although it can only chip limbs of up to 1 ½ inches thick, it fills a gap in the market for a low-cost, low-powered chipper to remove troublesome garden waste with ease. It even comes with a generous 2-year warranty – almost unheard of for a product with such a competitive price tag. Check out what other people who purchased this product think about it. Read Sun Joe CJ602E-RED electric wood chipper shredder reviews. It has a safety hopper locking knob. It protects against overloaded power supplies. It’s a good option for homeowners with minimal chipping or shredding required. It’s not suitable for tree chipping jobs. It’s not as powerful as other electric wood chipper shredders for sale. The blades dull very quickly. Power Smart wood chipper shredder. Dimensions: 24 x 17 x 12 inches. Chipping Capacity: 1 ⅝ inches. QCan it chip green vegetation? QCan it be used as a mulcher for leaves? AYes, but you need a stick of some sort to push them through safely. QWhat power voltage is it? A120 v, 60 Hz, 15 A. While it’s not going to be the best option for professionals or people requiring powerful tree shredders, it still suits many homeowners perfectly. If you’re looking to get rid of stray leaves, twigs, and general garden waste, it will be a good option. The best part about this Power Smart electric wood chipper shredder is how inexpensive it is. It’s not a well-known model or brand, but it’s certainly earning itself a place on the market as a reliable, cost-effective chipper. Check out what other people who purchased this product think about it. Read Power Smart PS10 electric wood chipper shredder reviews. It’s lightweight, compact, and portable. It’s one of the lowest-priced chipper shredders on the market. Considering it’s so cheap to buy, its warranty is generous. It doesn’t chip bamboo, whereas most other models do. It only has a 10:1 mulch ratio, whereas others have 16:1 or 17:1 ratios. It only cuts twigs up to 1 ½ inches in size. Dimensions: 38.1 x 19.4 x 20.5 inches. Chipping Capacity: 1 ½ inch twigs. QWhat size chips does it produce? AAnywhere from sawdust to less than one inch. QIs it suitable for shredding leaves? While it’s a cost-effective option for many homeowners, it misses the mark as being one of the best electric chipper shredders for the money. Its features are comparable to several other machines on the market, but it has too many exclusions to be considered efficient. It won’t chip bamboo, whereas most others will, and it won’t mulch leaves very well either. Considering both of these backyard materials are common, it’s only going to take care of a small target market of consumers. It’s powerful for its size, but it’s certainly not a top-rated product. Check out what other people who purchased this product think about it. 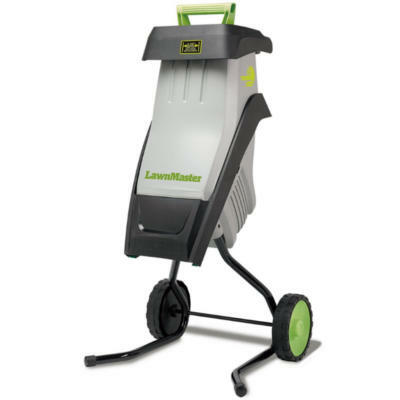 Read LawnMaster FD1501 electric wood chipper shredder reviews. It has a triple action cutting/mulching system. It comes with a free extra cutting blade. It’s not as affordable as other similar shredders. It’s not as powerful in comparison to others on the market. It only comes with a 1-year warranty – 1 year less than other manufacturers. Eco Shredder wood chipper shredder. Dimensions: 24 x 22 x 22 inches. Chipping Capacity: 1 ⅜ inches in diameter. QDoes it have several settings? AYes, it can chip, mulch, compost, and shred. This chipper is a popular option with homeowners. Not only does it perform better than several other chippers on the market, but it can also chip, shred, mulch, and compost with ease. It can handle a wide variety of materials, and is certainly built to last. However, there is one thing consumers aren’t happy with. It’s priced a little higher than other models, which is acceptable on its own, but it only has a 1-year warranty. When you’re competing against other cost-effective options with 50 percent better warranties, it’s a losing game. In saying that, this chipper ticks all the boxes when it comes to providing homeowners with a durable and quality option for outdoor maintenance. It’s not top-rated, but it is one of the best electric wood chipper shredders for the money. Check out what other people who purchased this product think about it. Read Eco Shredder ES1600 electric wood chipper shredder reviews. Where to Buy Electric Wood Chipper Shredders? Whether you’re looking for a wood chipper or a mulcher, you are sure to find what you’re looking for when you buy online. The internet has enabled many consumers to have better access to the products they really want. This is why Amazon has become a preferred option for purchasing goods. It’s here that manufacturers list outdoor equipment to allow consumers to get the best deal on each product. In saying that, traditional in-store purchasing methods can sometimes be equally as effective.